It is lovely to have Theresa, from Gorgeous Gift Boutique, join me for a chat on my blog. Theresa started her business when she was on maternity leave in 2012. She has a beautiful daughter, Millie, age 4. 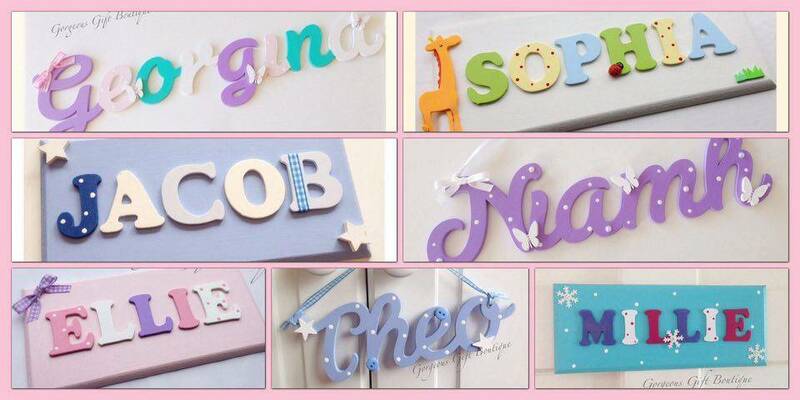 I first came across Gorgeous Gift Boutique eighteen months ago, we had not long moved into our house and I was looking for name plaques for the girls bedroom doors. My brother and I had them when we were little and I really loved it. I could choose my own colours, plus the whole look of them and when they arrived I loved them instantly. 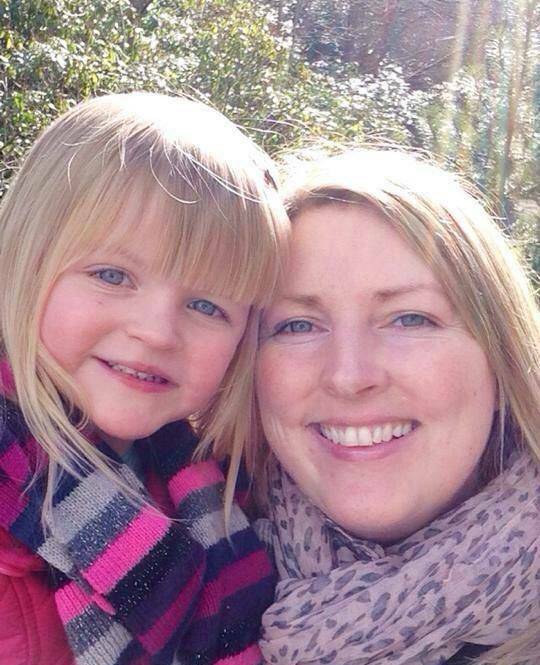 1 – What is the one thing you love most about being a mum? The thing I love most about being a mum is all the lovely time I spend with my little girl Millie. Now she is 4, she is so chatty and always calls me her best friend…that is the nicest feeling in the world. 2 – It can be a bit overwhelming becoming a parent, were you given any good advice before Millie arrived? Yes, it’s very overwhelming but the best advice I had was to take everything day by day. Get settled into a good routine and be organised, this really helps to feel in control as it’s very easy to let things get on top of you. I also strongly believe that things can wait, like cleaning and washing etc, I always make time to get down on the floor and play whatever my little girl wants me to. She has such an imagination and these years are so precious, you can never get this time back so the cleaning can wait until she is in bed. 3 – You started Gorgeous Gift Boutique four years ago, when you were on maternity leave. Where did the idea come from? When I had just had MIllie, I did what I’m sure others mums do and I started to look for things to buy with her name on. I could never really find exactly what I was looking for, so I decided to make my own. I posted a picture of it on Facebook and had lots of comments, so this gave me the idea to set up my own business. I started making door name plaques and then began to make lots of other items. I then set up my own Facebook business page and it all went from there! I have always been quite crafty and love making things so I really enjoy making something different and personalised for people. I love it when customers contact me to say how happy they are with my plaques and I have now made thousands over the last few years. 4 – As well as being a mummy and running your business, you also work part time at the hospital. How do you find the time to do both and be a mummy? It’s been hard! I have also studied for the job that I have in the hospital and completed a diploma. It has been a tough few years, but I have learnt to manage my time well. I’m lucky that I only work two weekdays, so I have lots of time to spend with Millie. I take her to nursery and we then spend lots of time together in the afternoons. We meet up with other mummy friends and have lots of play dates! I tend to do my painting in the evening when Millie is in bed but, I do love it so I find it very therapeutic. 5 – Where would like to see yourself and your business in the future? I would love for my business to grow and grow and I am always planning new Items to make so that everything is fresh. I have recently started to sell my items on Amazon which is growing from strength to strength! The main thing for me is enjoying what I do and making sure that the personal touch is never taken away…maybe in a few years Millie will be helping and painting with her Mummy! 6 – For anyone reading this that are thinking about starting their own small business, what are your top tips? My top tips would be to do lots of research and do something that you enjoy! It makes it more like a hobby that you are lucky enough to earn some extra income from and finally be unique! Thank you Theresa, some great advice and I look forward to watching your business grow and grow. You can find Gorgeous Gift Boutique over on Facebook and Instagram, why not head over and take a look. Theresa is very kindly giving one of you a chance to win one of her gorgeous name plaques. You can have any name and design. To be in with a chance of winning just complete one or more entries on the Rafflecopter below and please read my giveaway disclaimer first before entering. Good luck! I’m always jealous of people who have a crafty skill; I just don’t have it in me! Love the idea of turning a hobby into a business too, it sounds like you have a great life balance. This is such a wonderful interview. I’m so happy she is successful on what she loves to do and it’s amazing how she can time her business and family well. I don’t have a family of my own but running an art commission myself is so stressful and I hardly get time personally. Amazing interview, I am not good with crafts but I too loved having a name plate on my door when I was young. I’ll have to check out her shop 😉 I do admire mums who start their own business from scratch. Would so love to be one of them. I love smaller handcrafted pieces and I love knowing more about the people behind the business. It’s fantastic when you can take something which starts as a hobby and snowballs. These plaques are beautiful I’m entering for my boys! Wow what a talent! I love them, fab giveaway! Wow sounds like an amazing business to start and I can see why it has been successful. I struggled as a kid to find anything with my name on and more and more kids are having unusual names that it is even harder now!